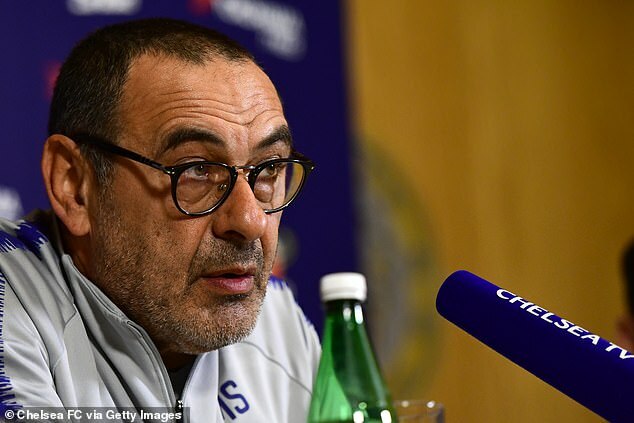 Chelsea boss Maurizio Sarri has claimed he would be happy to accept a pay cut if it ensured Premier League clubs received more reasonable space between their fixtures. Chelsea host West Ham on Monday evening in the first of their four matches in the space of only 11 days. Chelsea travel to Slavia Prague for the first leg of their Europa League quarter-final on Thursday and a Premier League trip to Liverpool precedes the return leg against the Czech team next week at Stamford Bridge. 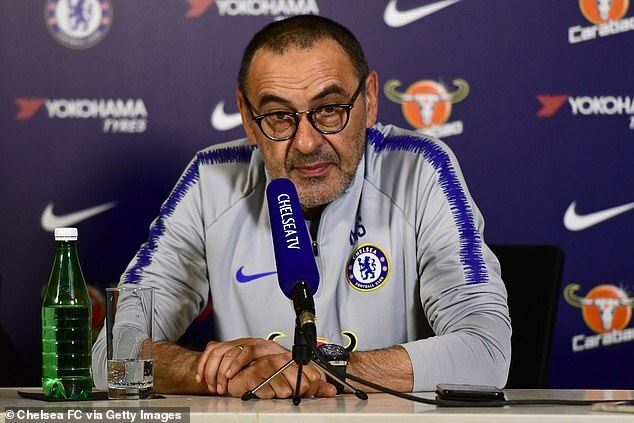 Sarri is unhappy that this evening’s fixture against West Ham leaves his team with only two days preparation for a major European fixture. Slavia Prague have two extra days after beating Dukia in their domestic league on Saturday. He said: ‘I’m not able to understand why we have to play on Monday. It’s very strange. I am not able to understand the decision of the Premier League because we have to go to Prague as an English team. ‘I think they could have done more for the English teams in Europe. Not just for us, but all the teams involved in Europe. In Serie A, teams play on Friday [before a European game]. If a team is involved in the Europa League away from home, they can then ask to play their next Serie A match on a Monday. The Italian is, however, realistic enough to know his player may not share his position in accepting a lower salary. 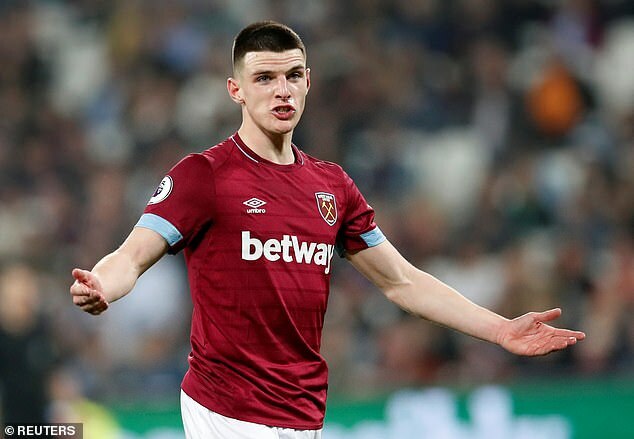 Sarri also underlined the development of West Ham’s sought-after starlet Declan Rice. The defensive midfielder was released by Chelsea at the age of 14 and Sarri admitted Chelsea are under-strength in Rice’s position. Sarri did, however, hint that he would look to train up Matteo Kovacic as Jorginho’s study rather than pursue Rice in the summer transfer window, should Chelsea be successful in overturning a FIFA transfer ban. ‘He’s a very good player, very good in the defensive phase because he’s very able to recover the ball. He usually plays very close to the defensive line and, in the first match against West Ham, he was a very big problem for us. I think he is improving in the offensive phase. He has improved during the season because I saw their last matches and I saw a very good midfielder. ‘In that position, we have some problems because we have only Jorginho. In my opinion, Matteo Kovacic could become a very good central midfielder. Of course, he is not a defensive midfielder (at the moment) but in that position I prefer a very technical player. In the last match, Jorginho touched 161 balls.